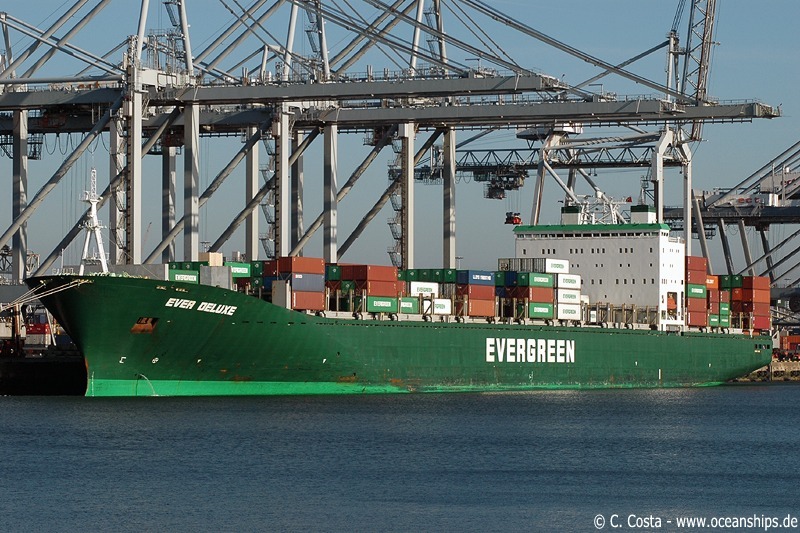 Ever Deluxe is moored at Rotterdam’s ECT Delta terminal on November 27th, 2006. 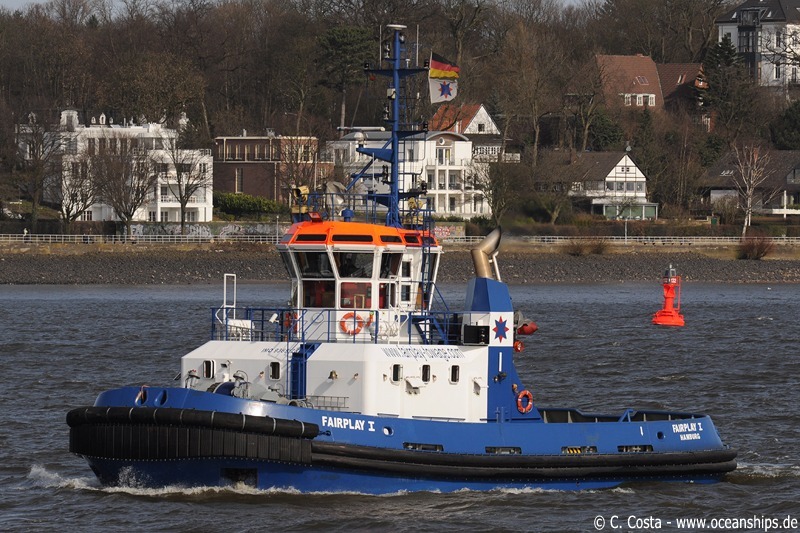 Tug boat Fairplay I is operating in the port of Hamburg on April 30th, 2009. 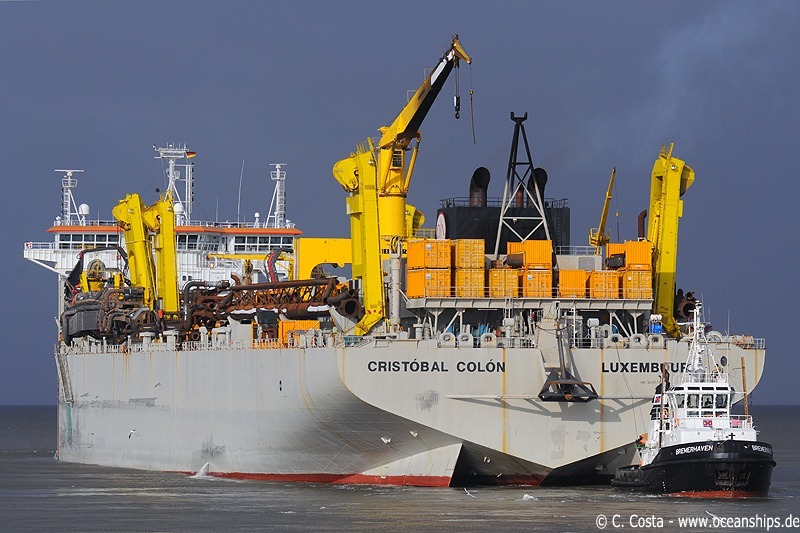 Hopper dredger Cristóbal Colón is leaving Cuxhaven on February 3rd, 2010. 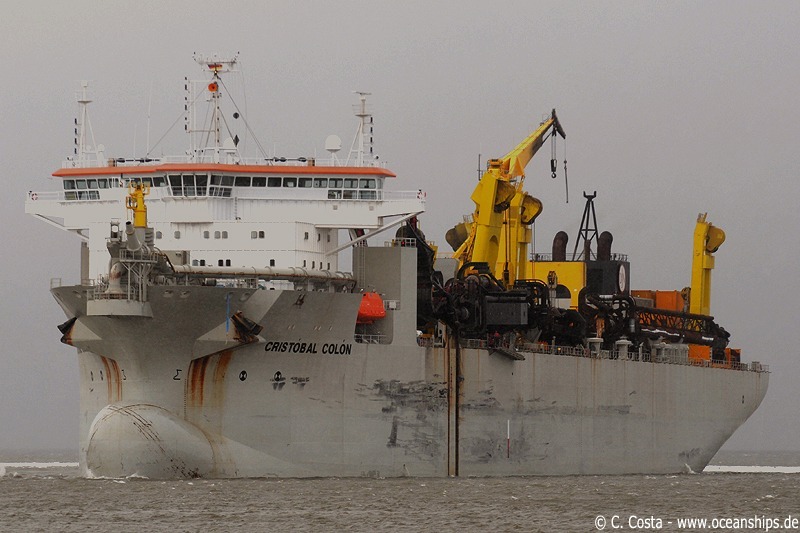 This dredger is at this moment the world’s biggest hopper dredger. 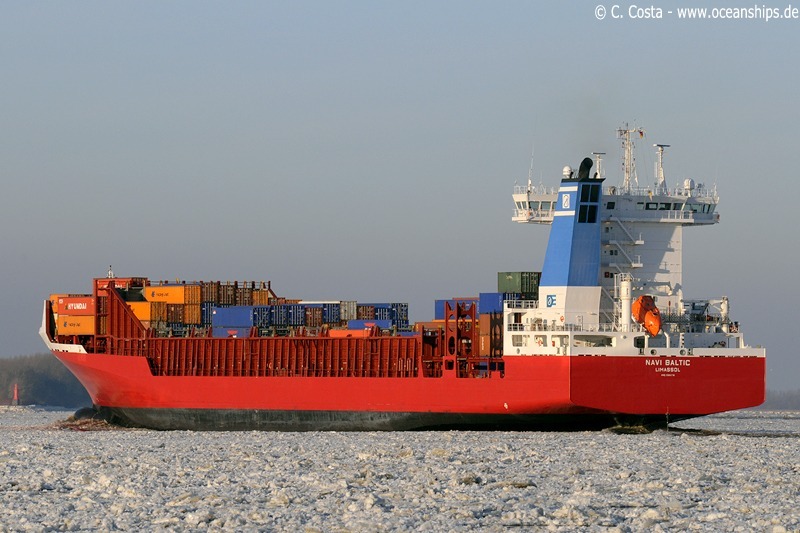 Therefore it needs two tugs for departure. 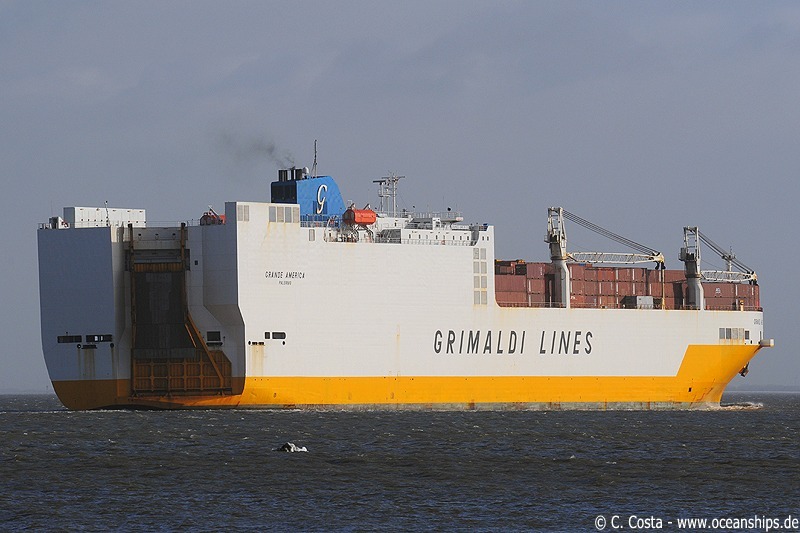 On the picture tug boat Bremerhaven is towed to its aft. 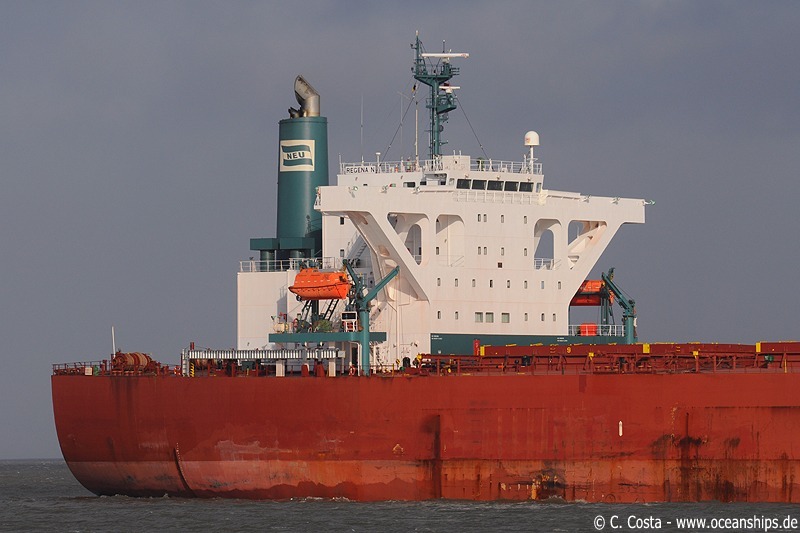 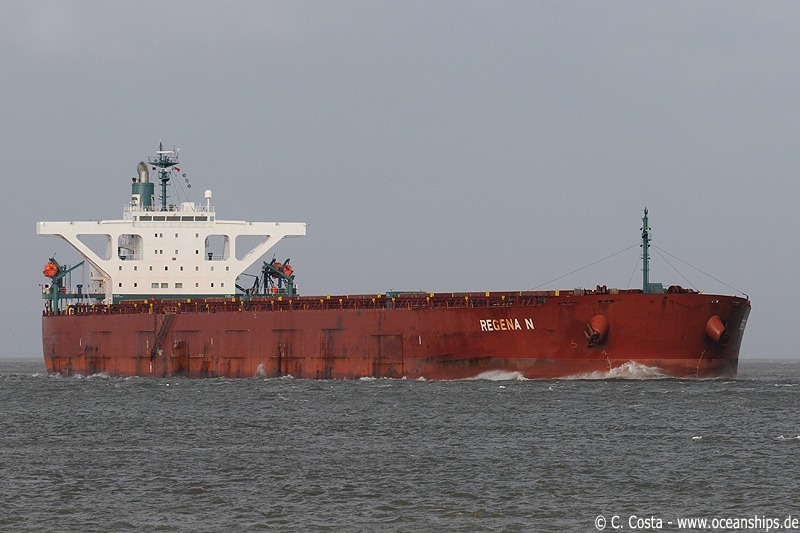 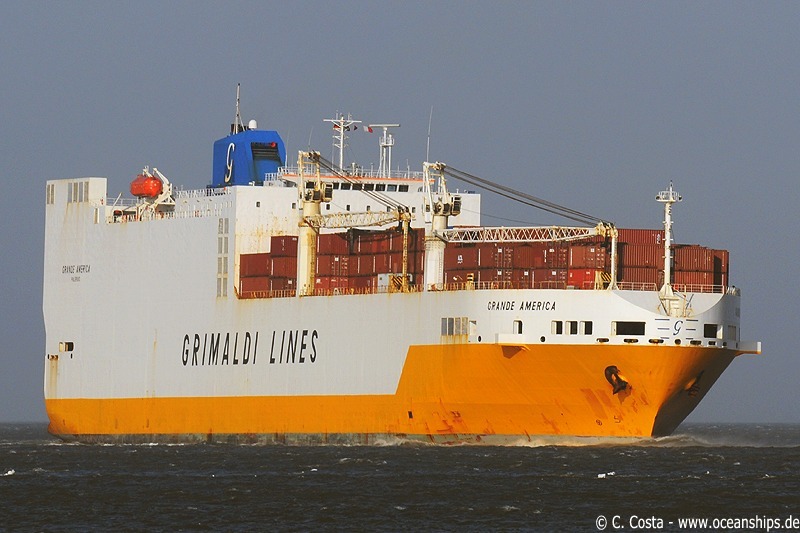 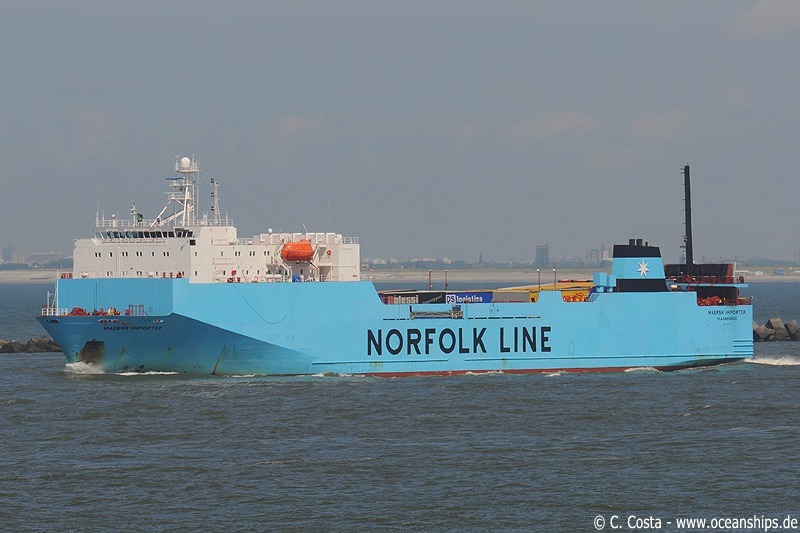 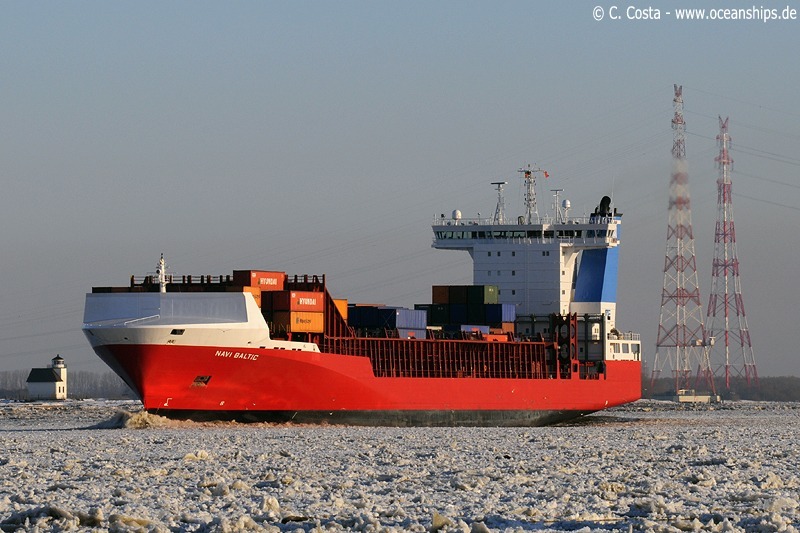 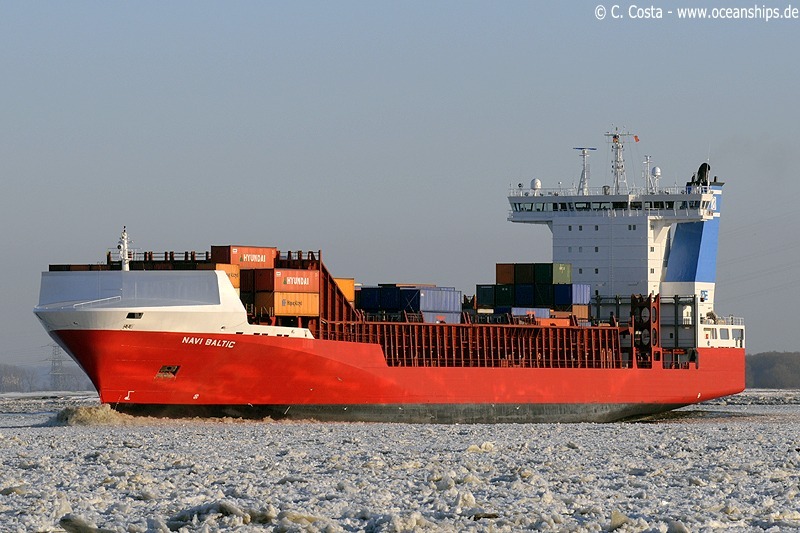 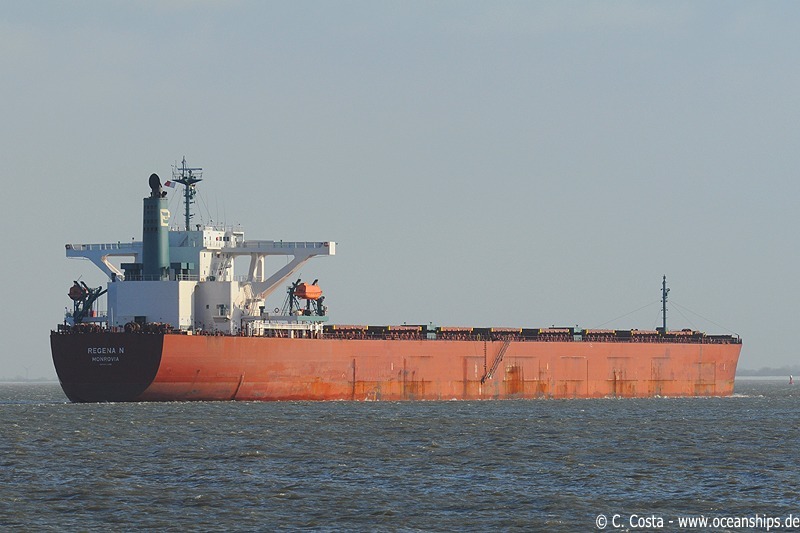 Feeder vessel Navi Baltic is passing Stadersand through the icy waters of the river Elbe on January 26th, 2010. 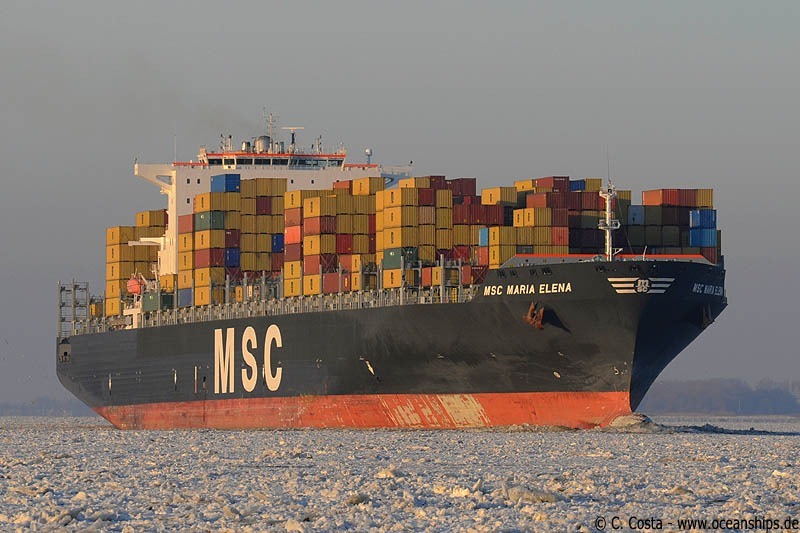 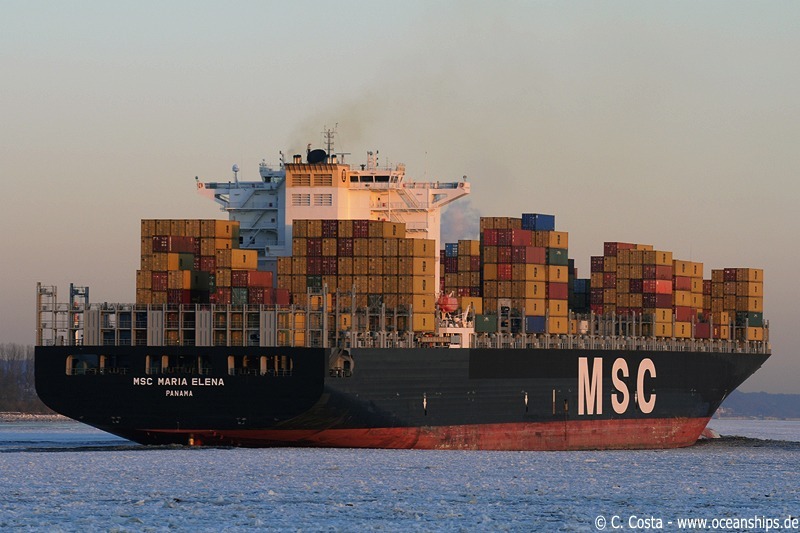 MSC Maria Elena just passed Lühe through the icy waters of the river Elbe on January 26th, 2010. 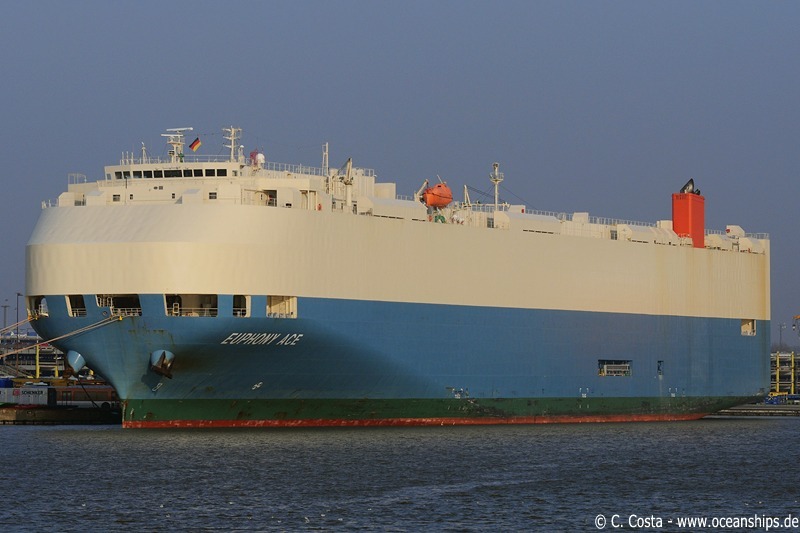 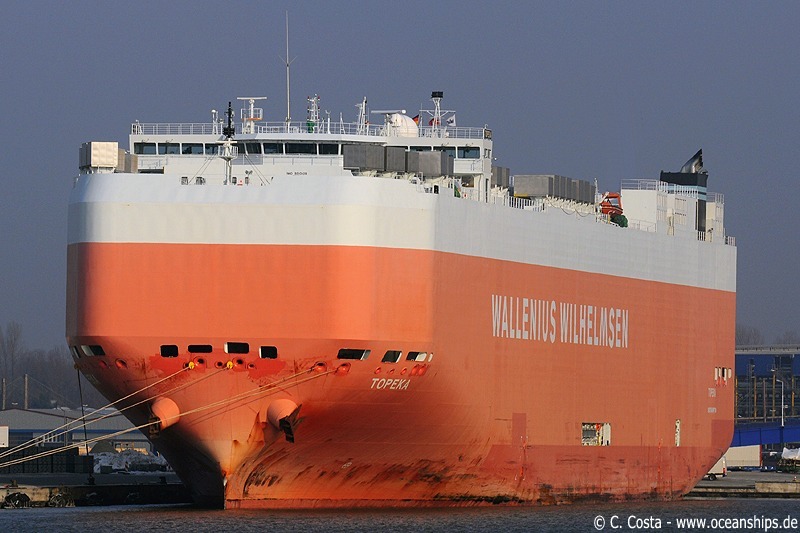 Vehicles carrier Topeka is moored at Bremerhaven on January 25th, 2010.